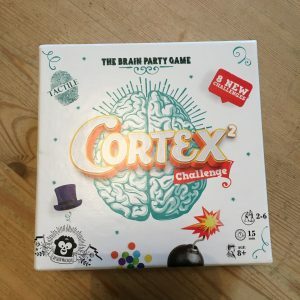 Cortex is the latest game that was sent to us by the Blogger Board Games Club. 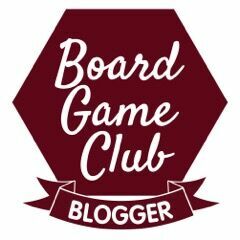 This looks like a perfect family after dinner game – for 2-6 people aged 8+ and with an average game lasting 15 minutes. I was really looking forward to testing this one with the family and thought it would be right up our street and a lot of fun, but who could have guessed the impossibility of getting two adults and two teenagers round a table for even 15 minutes at this time of year? 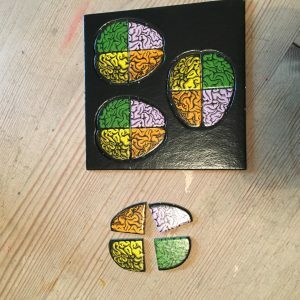 Various disasters and deadlines intervened and in the end I ran out of time and we tested the game with just two of us – me and my 13 year old son. Basically this game in a series of mental puzzles. You turn up the card with the puzzle on it and everyone slaps their hand down on the card when they have the answer. Lowest hand gets to answer first and the card goes to the first correct answer. (Cue endless repetitions and variations of jokes along the lines of “I’ve only got half a brain….”) You have to love teenage boys…. There is either one shape or one colour that is unique – ie only shown once . What is it? How many squares have been removed from this pattern? 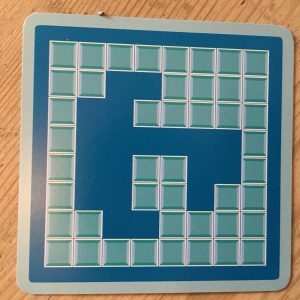 So you can see the puzzles are not very difficult, but add the element of pressure and family rivalry and it can get quite comical. 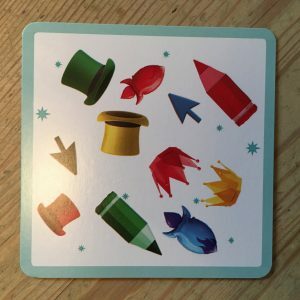 I can see that this game is going to work fantastically well with 4 of us and we will probably take it with us to our family Christmas lunch and see if we can persuade 6 to play it. I thought it wouldn’t be so much fun with two, but it still was. My son and I are pretty evenly matched in brainpower – reasonably fast but both inclined to say stupid stuff under pressure. As to the challenge where you hold up a certain number of fingers, say a different number and slap the card with your other hand, we both struggled significantly with this and it was very funny. I love that this game comes in a really small box but to me it’s small but perfect. I can see us taking it with us when we travel and it’s also perfect for those short times when we are all together and want to play a game but only a quick one. I can’t believe we didn’t have one of those moments in November but I’m sure we will over the Christmas holidays. 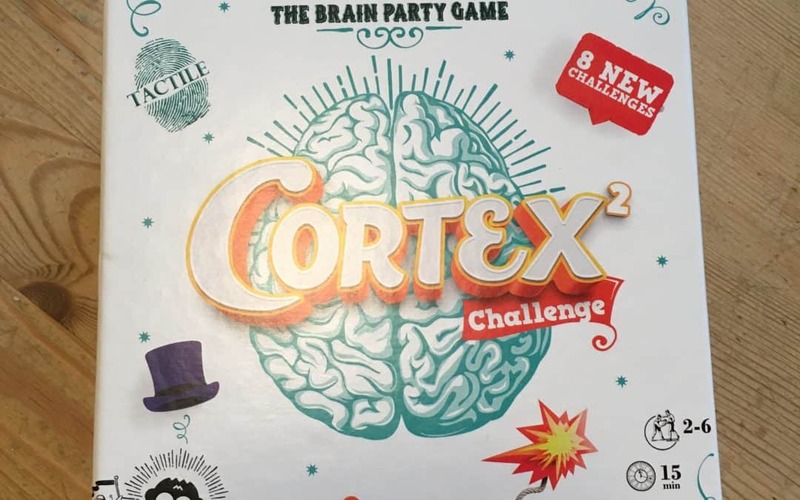 You can buy a copy of Cortex on Amazon and they also have a 6+ version for younger children. I would thoroughly recommend this game and think it would make a great stocking filler.